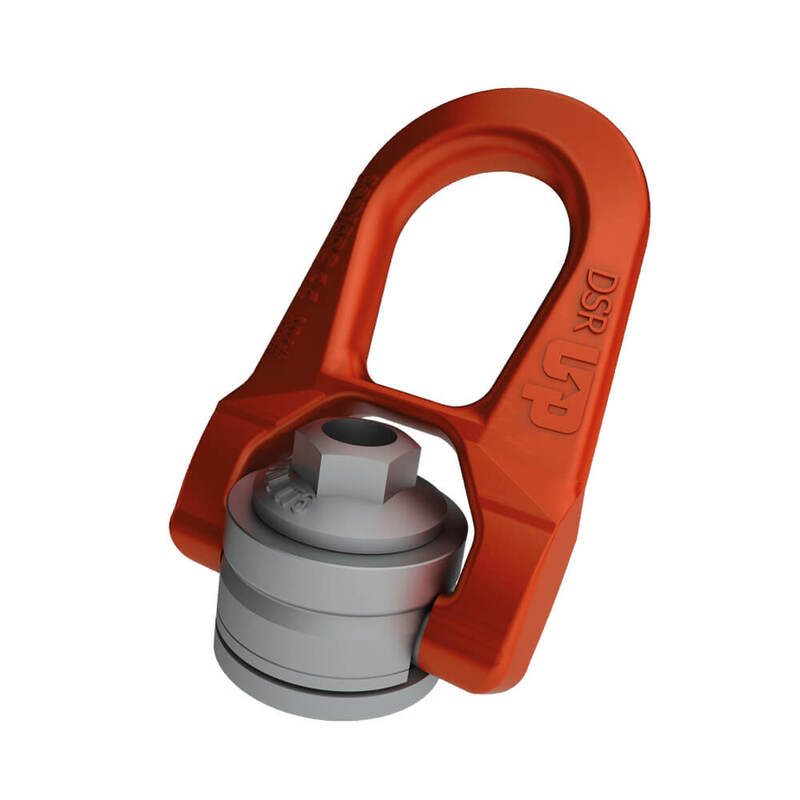 The DSR lifting ring is a double swivel ring. It is specially designed for simultaneously lifting and rotating loads. Its double swivel action ensures perfect. It consists of a GRADUP steel ring that can swivel under the load. The ring swivels 180°, but has a rotating range of 360°. 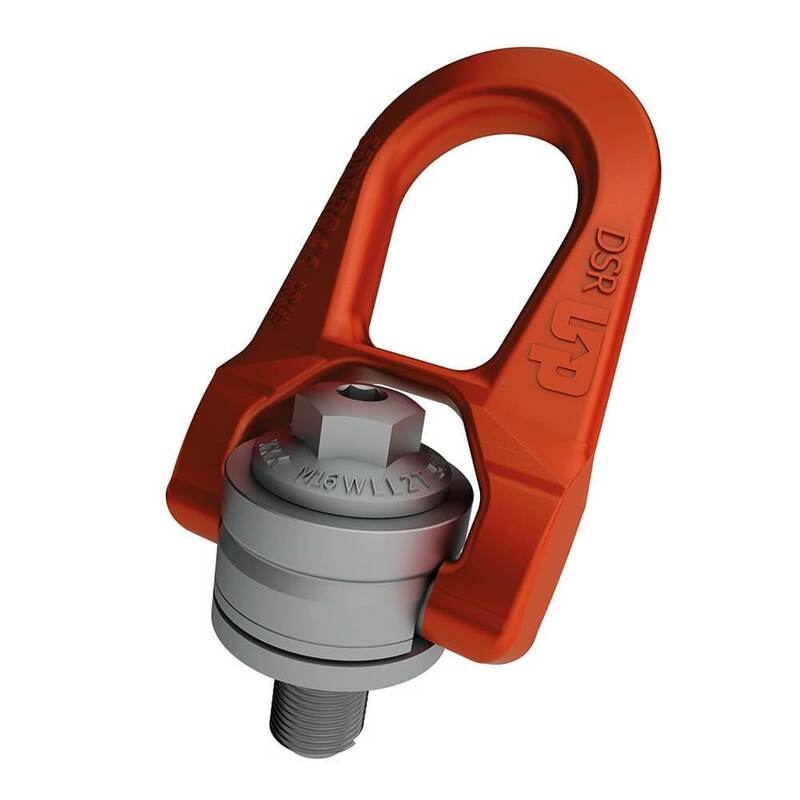 All DSR models have a safety factor of 4 and 5, which means that their breaking load is four or five times greater than the capacity indicated in the technical sheet. The DSR model is available in either male or female versions (FE.DSR).